Create tasks without leaving a Slack conversation! This is the first of two Slack actions offered through our integration. Note: Only team admins have access to integrations. To use the task creator, visit the Integrations page in your Team Settings. 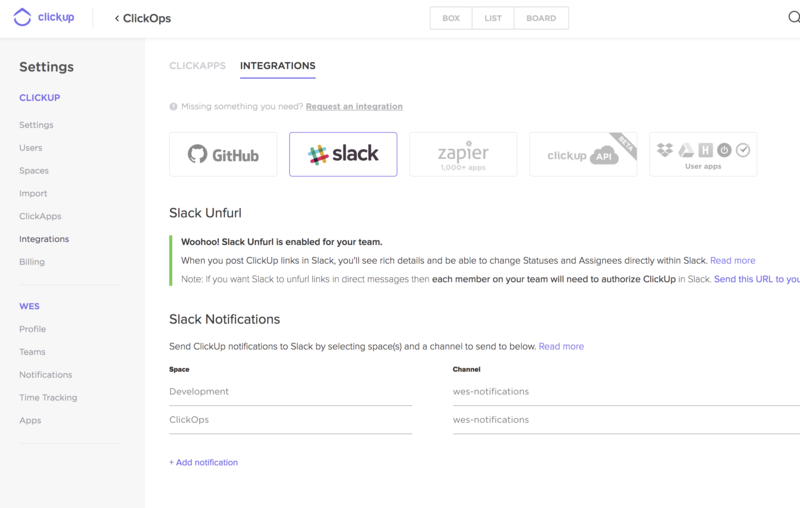 Click the Slack button and you’ll be redirected to Slack to grant ClickUp access. Have you ever wanted to create a task about a message in Slack? Check out this doc to learn how! Authorizing also lets you unfurl links in Slack! See why our most efficient teams use this feature! Having trouble with Slack? Chat with a Slack representative here.